Schools/styles taught: Just how to play the shakuhachi. Biography: Clive Bell is a musician, composer and writer with a specialist interest in the shakuhachi, khene and other Far Eastern wind instruments. He has travelled extensively in Japan (where he studied the shakuhachi ¬ or Japanese flute¬ for two years with the master Kohachiro Miyata), Thailand, Laos and Bali, researching music and meeting local practitioners. 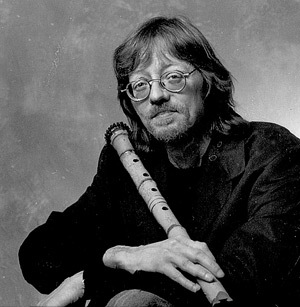 Clive is the shakuhachi player on Karl Jenkins’s album Requiem on EMI Classics, and the final two Harry Potter movies. 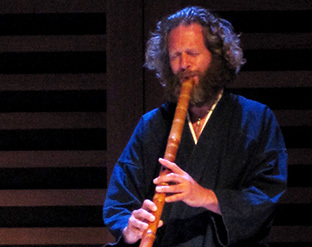 His shakuhachi playing was featured in a live solo session on Radio 3’s Late Junction. A musician who regularly joins David Ross, Sylvia Hallett, Mike Adcock and Peter Cusack in various improvisation duos and trios, Clive Bell has a substantial recording history as both a solo artist (his solo album, Shakuhachi: The Japanese Flute was reissued in 2005 by ARC Records) and as a composer for film, TV and theatrical productions (Complicite, IOU, Whalley Range Allstars). Kazuko Hohki, Jah Wobble, David Sylvian, Steve Beresford, David Toop, Jochen Irmler of Faust, Paul Schütze and Bill Laswell number among Clive Bell’s collaborators. Based in London, he writes regularly for the music monthly The Wire. Biography: Christopher Yohmei Blasdel began the shakuhachi and studies of Japanese music in 1972 with Living National Treasure Goro Yamaguchi. He also studied Fuke shakuhachi under Okamoto Chikugai, jiuta ensemble playing with Fujii Kunie and ryûteki flute under Shiba Sukeyasu. In 1982 he received an MFA in ethnomusicology from Tokyo University of Fine Arts and is one of only two non-Japanese to be accredited as a shihan master by Yamaguchi. 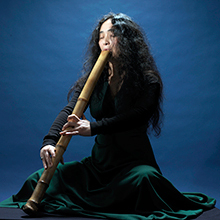 Performing in Japan and around the world, Blasdel maintains a balance between traditional shakuhachi music, modern compositions and cross-genre work with musicians, dancers, poets and visual artists. Discography includes Navarasa (2009), Breath Play (2007), Visionary Tones (2005) and several other CDs of traditional and contemporary music. He has composed and performed music for NHK documentaries and various films. 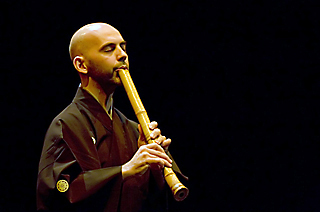 He co-organized the World Shakuhachi Festival ’98 held in Boulder, Colorado and the Sydney World Shakuhachi Festival in 2008. 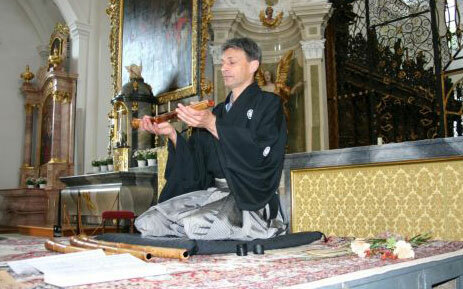 He is the senior advisor to the annual Prague Shakuhachi Festival. His semi-autobiographical book, The Single Tone—A Personal Journey through Shakuhachi Music (Printed Matter Press, 2005) and The Shakuhachi, A Manual for Learning (1988) are two of the most important English language resource books on the shakuhachi. He presently teaches Japanese music at Temple University in Tokyo and is coordinator/mentor for the Columbia University Hôgaku Program. He holds a third-degree black belt in Aikido. Biography: Born 1949, teaching T’ai Chi/Chi Gong since 1982, has studied Kyotaku with Koku Sensei since 1986, making and teaching Kyotaku since the 1990’s, published several CDs under the name ’tilopa’, now living with his wife in Berlin. Languages: French, English & Dutch. Teaching Locations: The Netherlands (Nijmegen, Eindhoven & Rotterdam). Biography: Hélène Seiyu Codjo started to learn shakuhachi with Daniel Seisoku Lifermann in Paris in the French association La Voie du Bambou. She also followed masterclasses with Gunnar Jinmei Linder, Christopher Yohmei Blasdel, Jim Franklin, Shimura Zempo, Yodo Kurahashi II and Koichi Yoshida. Since 2006, she regularly attends the masterclasses of Fukuda Teruhisa, founder of the ensemble and school Hijiri-Kai. In January 2013, she received the jun shihan license with the name Seiyu (Wisdom of kindness) from him. In November 2015, Fukuda Teruhisa awarded her with the shihan license (master). She lives in the Netherlands, where she gives lessons, workshops and concerts. Furthermore, she writes shows where she plays other world flutes (quena, dizi, African flutes,…) in addition to the shakuhachi and the western flutes. She also works with storytellers and has recorded a dozen CDs for children with her different flutes. Biography: Michael Soumei Coxall studied shakuhachi in Japan for many years under the legendary Kinko-ryu master and Living Cultural Treasure, the late Yamaguchi Goro, and still continues his studies on frequent visits to Japan with Mizuno Kohmei and Sugawara Kuniyoshi. 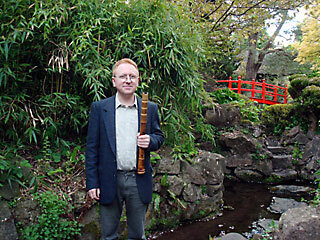 Michael was awarded his shakuhachi ‘Master’s Licence’ in 2007 and the professional name ‘Soumei’. Michael taught full time at SOAS, University of London, from 1986 to 2009 and now teaches traditional solo honkyoku, sankyoku ensemble and shinkyoku music at his home near Oxford, UK, as well as at workshops in London. He has performed widely in the UK and is the founder member of the ‘London Hogaku Ensemble’ and the groups ‘Hibiki’ and ‘Ten’yu’, has featured in numerous solo and ensemble performances and as an accompanist in recitals with visiting traditional Japanese performers in the UK and in concerts in Japan. Michael was the co-organiser of the European Shakuhachi Summer Schools with Koto and Shamisen held in London in 2006, 2007 and 2011 and is also a member of the Chikumeisha-kai. 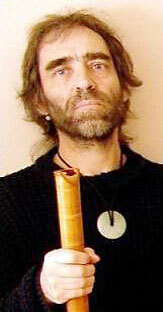 Biography: Horacio Curti encountered the Shakuhachi for the first time on the Indian Himalayas. Fascinated by its sound, decided to go to Japan where he started his studies under Kakizakai Kaoru Sensei focusing on the Koten Honkyoku music. There he received his Shakuhachi Shihan (Shakuhachi master degree) from Yokoyama Katsuya Sensei in 2004. Besides his work with the Koten Honkyoku, he started researching on contemporary forms such as “free improvised music” collaborating both with musicians and dancers, poetry and theatre, and especially “western classical contemporary music” both solo and as part of the Mei trio, premiering several compositions. He has performed and taught in Argentina, Chile, Belgium, Holland, UK, France, Japan, Spain and USA. He completed his studies in Ethnomusicology in 2005, specializing in Japanese music practices. At present he is teacher at the “Escola Superior de Música de Catalunya” and “SAE Barcelona”. 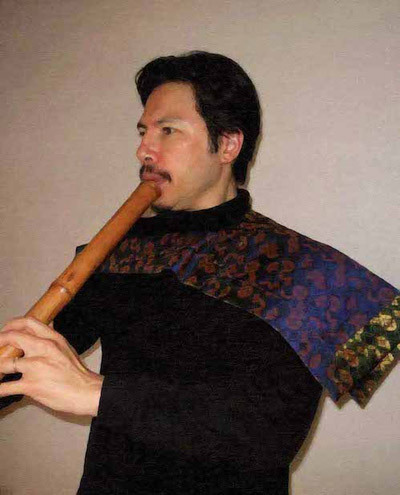 Kiku Day (PhD, London; MFA, Mills; BA, London) is a jinashi shakuhachi player and ethnomusicologist. Dr Day trained shakuhachi playing with Okuda Atsuya for more than a decade in Japan and since her return to Europe has dedicated her life to the dissemination of the shakuhachi on that continent. She is a founding member of the European Shakuhachi Society, which she currently serves as chairperson. She has performed with performers such as Fred Frith and Joanna MacGregor and as a soloist with the Nonsuch Choir and with Odense Symphony Orchestra in Takemitsu Tōru’s November Steps. Day is always exploring new possibilities with the shakuhachi in unconventional collaborations such as dance, narrative performance and film. Her research has been mainly performance based and focused in particular on the potential use of the jinashi shakuhach in contemporary performance. 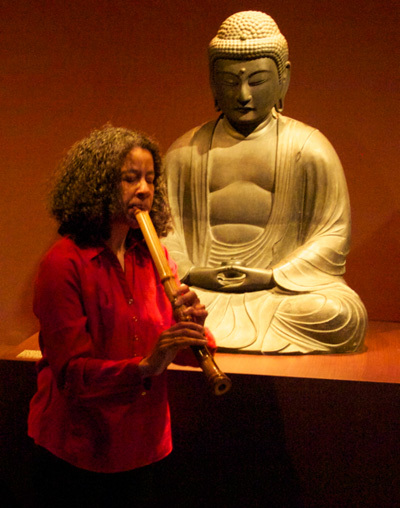 Her teaching spans from the repertoire of Zensabō to shakuhachi and meditation and improvisation. Her aim is to help disseminate the knowledge and love for the shakuhachi. 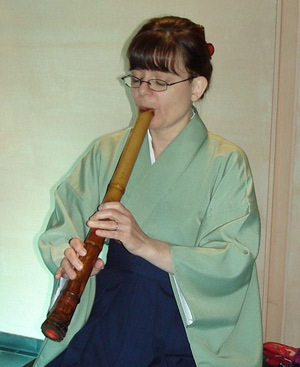 Her love of teaching shakuhachi has been noticed by many of her students. Day is presently living at the meditation centre, Vækstcenteret in Nørre Snede, Denmark. – I am a member of the French society “La Voie Du Bambou”, whose purpose is to teach and disseminate Shakuhachi. – In 2003, I began learning Shakuhachi with Master Daniel LIFERMANN and as of 2006, I continued studying under the guidance of Master Teruhisa FUKUDA, from the Kinko school “Hijiri”/ “Sainte École”. – Since 2012, I hold concerts in Italy and France : “The Sound of Zen Buddhism”. Biography: 1954 in Olten geboren und aufgewachsen. Studium der Querflöte bei Felix Manz an der Musik-Akademie Basel. 1980 – 1988 Studium der japanischen Bambusflöte Shakuhachi bei Andreas Fuyû Gutzwiller in Basel (Kinko-Stil), 1988-89 bei Shimura Zenpô Satoshi in Osaka (Myôan-Stil). 1998 Verleihung des Meistertitels (shihan) und des Meisternamens Fuyûru durch Kawase Junsuke III Tôkyô (Kinko-Stil). 2008 Weiterbildung bei Shimura Zenpô Satoshi in Japan. 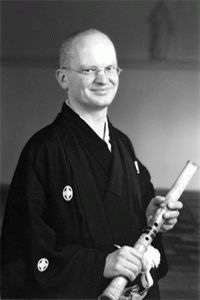 Biography: Dr Jim Franklin is a master performer of the shakuhachi in the Kokusai Shakuhachi Kenshukan. He initially studied composition and musicology in Australia, Germany and Holland and during his studies, he encountered the shakuhachi, and was fascinated by it. After learning the instrument in Australia with Dr Riley Lee and in Japan with Furuya Teruo and Yokoyama Katsuya, he received the title Shihan (Master) in 1996 from Yokoyama Katsuya. In the area of solo shakuhachi, Franklin has specialized in the honkyoku lineage of Yokoyama Katsuya and in modern music. 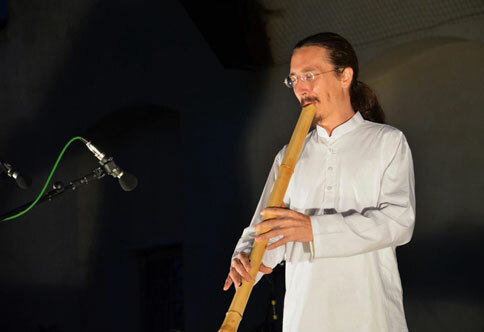 His concert activities extend throughout Germany as well as other countries in Europe and beyond, and he has performed and taught at all the World Shakuhachi Festivals since 1998. He has released two CDs of shakuhachi honkyoku (Hearing Stillness and Zen Garden Meditations) and a further CD of his own shakuhachi solo pieces (Butsuga), as well as several CDs of compositions and improvisations with other musicians (Water Spirits, Moon Road to Dawn, Abundance, Aurora, Nine-Elemental Songs), primarily on the Celestial Harmonies label. 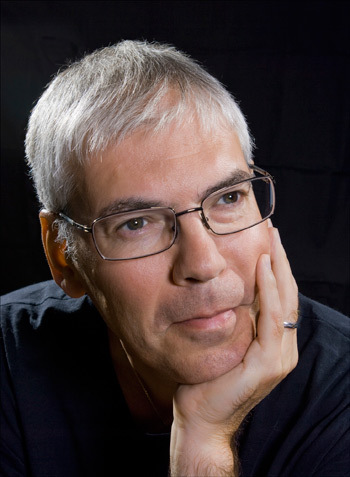 As a composer, Franklin is active in the areas of contemporary and electroacoustic music. He composes for shakuhachi solo and in combination with other instruments, and frequently performs projects with shakuhachi and live electronics, often in combination with dance and video art. The interface between shakuhachi and electronics, and shakuhachi and visual media, is a key area of interest. His works, Three Treasures: Columns and Webs (realized in 1996 in the Centre for Computer Music, Kunitachi College of Music, Tokyo) and Songs from the Lake No.2 (premiered at the Prague Shakuhachi Festival 2011) are representative of this musical direction. Since 2004, Franklin has lived in Germany. As a teacher, he gives individual lessons in a number of cities, including Mainz, Stuttgart, Hannover, Bergisch Gladbach (near Cologne), Heidelberg, Bamberg and Nuremberg. He offers regular workshops for beginners as well as advanced students. Prior to emigrating to Germany, Franklin was Senior Lecturer in Music Technology in the Music Department of University of Western Sydney, including a period as Head of Department (1997-98). His connection to the academic world is maintained through occasional publications such as the articles “Japanese Shakuhachi Honkyoku Tradition and its Reinterpretation into a Contemporary Composition Practice” (in Music of the Spirit: Asian-Pacific Identity, Australian Music Centre, 2008) and “Compositional Encounters with Shakuhachi” (in The Annual of Texts by Foreign Guest Professors, Charles University, Prague, 2008). Franklin was instrumental in the founding of the European Shakuhachi Society, and was its foundation chairperson, from 2006 to 2009. He has taught and performed at many of the European Shakuhachi Summer Schools, including 2006, 2007 (organised together with Véronique Piron), and 2010. Biography: Adrian was born in Leeds, N. England in 1962 and studied music at Manchester University (1983) and at The Guildhall School of Music (1986) and has always had a broad range of musical interests, from baroque music to contemporary classical, from jazz to folk. He began studying the shakuhachi in London with Clive Bell and then moved to Japan in 1990 where he lived for eight years devoted to the study of koten honkyoku repertoire with Yokoyama Katsuya. At this time, he also had a government scholarship as a research fellow at Kyoto University. After leaving Japan, he spent several years in the Brazilian Amazon immersed in the study and practice of ritual music. Adrian has worked as a composer and musical director for many theatre and dance companies and has taught music projects in over 100 schools and colleges. He has used the shakuhachi in collaboration with musicians from around the globe including the African kora, Arabian oud and the Brazilian berimbau. Currently, he is based in Dartington, SW. England. Adrian’s approach to shakuhachi teaching rests upon a deep resonance with the principle of ichion jobutsu…the universe within a single tone. He tailors his teaching style to the needs of each individual student. Biography: Wolfgang Hessler belongs to a modern generation of musicians, who’s education and work is based not only on the music of one culture. Grown up in Munich he studied doublebass with Herbert Duft and graduated from the Munich College of Music. Following he worked at the Orchestra of the State-Opera (National Theatre Munich), the Munich Philharmonic and the Bavarian Radio Symphony-Orchestra, partly still during his studies. 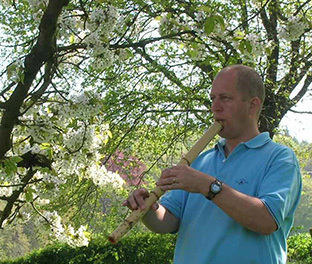 In Switzerland Wolfgang Hessler studied the Japanese bamboo-flute shakuhachi in the tradition of the Kinko-School with Dr. Andreas Fuyû Gutzwiller at the Studio for extraeuropean Music of the Academie of Music Basel. Several journeys to and study visits in Japan took him to Kawase Junsuke III, head of the Zenkoku Chikuyusha in Tokyo, who performed the Shihan-Menyô-Ceremony for him to confirm the reception of the tradition. In addition, Wolfgang Hessler studied with Nobuhisa Ikkei Hanada in the tradition of the temple Itchôken (Hakata/Kyûshu). Wolfgang Hessler lives and teaches in Zurich, performing in concerts and recitals traditional Japanese music (honkyoku and gaikyoku) and modern music as well as with improvisation ensembles. Influenced by Sergiu Celibidache, affected by the practice of playing the shakuhachi as an exercise in concentration and respiration of the Fuke-monks in Japan, he dedicates his activity to the spiritual dimension of making music. Leaving behind any concept and construct, any will and intention, making music happens as activity in alertness and concentration, guided by one’s proper breath and the almost unexhaustable tone colour of the shakuhachi. IT plays. This is not extraneous to western music, but hardly anyone knows about that nowadays. Biography: Philip Horan spent two years in Japan, studying the repertoire of the Tozan-ryu in Hiroshima. 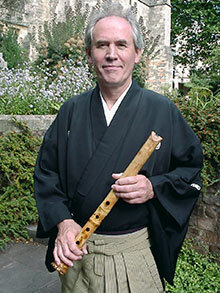 He studied shakuhachi with Sunny Yeung (Hong Kong), Hanaoka Seizan (Hiroshima), Kiku Day and Jean-François Lagrost. He completed a Masters in Ethnomusicology at the Irish World Music Centre in Limerick, focusing on shakuhachi acoustics and aesthetics. He regularly performs Irish and Celtic musics on shakuhachi. Biography: Sôzan Chiaki Kariya est né 1950 à Hyogo, prés d’Osaka. Il commence à étudier le shakuhachi à l’âge de 13 ans avec son père, conseiller de Shin Tozan Ryû, élève de Ichizan Hoshida, 1er et fondateur de la branche Singensha de l’école Ikuta de koto. Il acquiert le titre de Grand Maitre (daishihan) de shakuhachi et nommé le représentant de l’école Shin Tozan Ryû en France. Il a également appris le violoncelle au conservatoire national supérieur de musique de Paris avec Maurice Gendron et Jacqueline Heuclin. Il a reçu le 1er prix d’honneur au concours international de l’U.F.A.M. de Paris et 1er prix de concours Bellan au violoncelle en 1975 et nommé à membre du jury du concours U.F.A.M. en 1976. Il était un de membre sociétaire de l’orchestre symphonique de concert pasdeloup. Sôzan Kariya a beaucoup d’activitès musicale en France, en Belgique, au Japon, en Allemagne et en Angleterre. Il a notamment eu un grand succès au festival Womad de Londres pour son shakuhachi solo. On a pu le voir sur TF1, sur france 3, concert de shakuhachi au Musée Guimet avec Mr Iwamoto et soliste pour l’orchestre symphonique de musique comtemporaine. Plusieurs CD sont sorti. Outre son activité de concertiste, Sôzan Kariya est professeur de shakuhachi et de violoncelle à l’école de musique SNCF de Paris et membre de la SACEM. Biography: Suizan J.-F. Lagrost is professor of art education at the Conservatories of Le Kremlin-Bicêtre and Asnières near Paris. As a versatile musician, he excels in both the Western and Japanese musics. After a traditional curriculum of concert flute in Mulhouse and Paris, then a DEA of Music of the 20th century at the University of Paris-Sorbonne, he began the shakuhachi in 2000 (Tozan style) and obtained in 2014 the title of Dai-Shihan (grand master). He published in 2013 a Japanese chamber music CD entitled “Kyoku” with the koto player Mieko Miyazaki. As a Senior Advisor of the European Shakuhachi Society, he has founded and administered since 2011 the world’s main forum of shakuhachi (www.shakuhachiforum.eu). 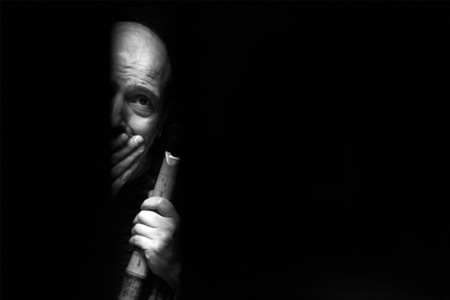 Biography: Daniel LIFERMANN started learning shakuhachi in 1983 during a trip to Japan. Back in France he studied with Franck NOËL (a YOKOYAMA’s student). From 1989 to 1997 he studied with Yoshikazu IWAMOTO. He also studied with Gunnar JINMEI LINDER. Since 1999 he is a follower of Teruhisa FUKUDA (Kohachiro MIYATA’s student and founder of the Hijiri school /Sainte-École), with whom he regularly organizes intensive courses, he obtained the title of Dai Shihan and the name of “Sei Soku” (“breath of wisdom “) in 2008. 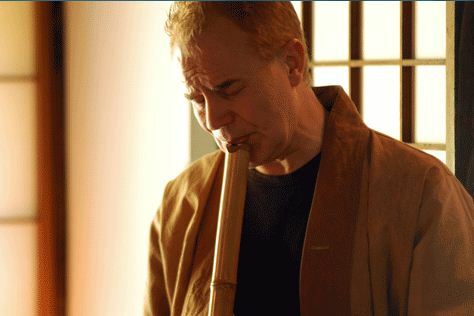 Since 1988, Daniel LIFERMANN teaches the shakuhachi, and in 1994 he founded the French association La Voie du Bambou, whose purpose is to spread wings and practice of shakuhachi. He works tirelessly to share what he received from the various masters he met and performs regularly in concert. Daniel Lifermann s’est initié au shakuhachi en 1983 au Japon. Il a étudié avec Iwamoto Yoshikazu et Fukuda Teruhisa. En 1994, il fonde l’association française, ‘La Voie du Bambou’. Il enseigne depuis 1988 et rassemble autour de lui actuellement 25 étudiants. Il se produit régulièrement en France. Répertoires favoris: Honkyoku et pièces contemporaines. Particulièrement impliqué dans la transmission de la spiritualité dans la musique. * Head of Chikumeisha European Branch; keiko-ba in Stockholm. * Head of Chikumeisha. Tachikawa Branch. * Member of Kinko-ryū Kyōkai, Nihon Sankyoku Kyōkai, Komusō Kenkyūkai. * Ph.D. in Japanology: Stockholm University. * M.A. in Shakuhachi as Performing Art: Tokyo Geijutsu Daigaku. * B.A. in Japanology and Philosophy. Main genres: kinko-ryū honkyoku, sankyoku (jiuta-sōkyoku), improvisation. Biography: Hans van Loon teaches kyotaku at his home for students from the Netherlands and Belgium. Although kyotaku has several meanings, Hans focusses on the kind of shakuhachi Koku Nishimura taught and built which is a jinashi shakuhachi with a big bore and a long length. The music played with the Kyotaku is simple and is played with a meditative attitude; the mindset while playing is more important than the result. Biography: The first time I heard the shakuhachi in 2000, on a CD. This was the beginning, Honshirabe by Kohachiro Miyata. Later, an incredible sound of Tamuke, by Riley Lee prompted me to start the search an instrument. I’m interested in what makes a tool for these beautiful and sad sounds. The first steps in studying of shakuhachi I started to make by myself, as in Ukraine, no teachers. I was helped by friends such as enthusiastic as I am. Then I started taking lessons from the masters in Skype. I took a few lessons from Kaoru Kakizakai, Michael Chikuzen Gould. I met with Kiku Day in 2008 in Kiev, and in 2010 after the European Shakuhachi Festival in Prague became her student. In 2012 I took part in WSF in Kyoto. In Tokyo I studied with Okuda Atsuya. Now I continue to learn Zensabo repertoire under Kiku’s leadership, and teach beginners in Kiev and Ukraine. I have a project “MA”. This is improvised music of shakuhachi, singing bowls, tanpura. In 2013 our album “Guide” was released. Czech master player of the shakuhachi, Japanese bamboo flute. He is a performer of contemporary, improvised, and Japanese traditional ensemble and solo music. 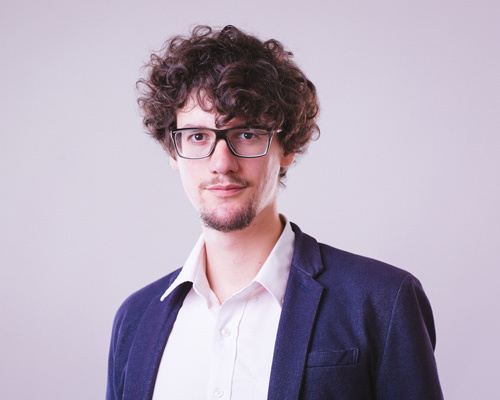 He has graduated at the Centre for Audiovisual Studies of the Academy of Performing Arts in Prague (FAMU) and has studied under Czech pioneer of the shakuhachi and a composer, Vlastislav Matoušek. 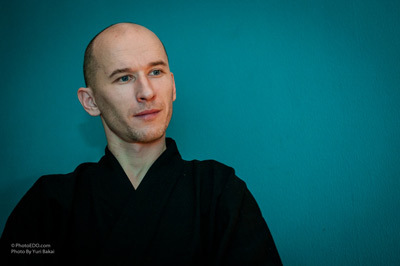 Since 2009, Marek continues his studies with Matoušek’s teacher Mitsuhashi Kifu. In 2017, he was awarded the title nattori shihan of the Kifu-kai and a performance name Kimei, 貴明. Marek Matvija has performed throughout the Czech Republic and in Japan, Netherlands, Hungary, Slovakia, USA and Portugal. He is a member of the Topos Kolektiv, ensemble for site-specific improvised music, and the artistic director of the International Shakuhachi Festival Prague. Biography: Born in January 1950 in Copenhagen, Denmark, Torsten studied music from very early childhood and on: Piano, recorder, singing, bugle, drums, electric bass, acoustic guitar, vibraphone, tablas, percussion – then shakuhachi, a little koto, acoustic bass guitar and – as of lately: arabic darbuka. First professional appearances as a pop/rock drummer in 1964-65. 1965-68: Specialized language & classical music studies in high school. 1968: Formed the symphonic rock band ACHE, who composed the world’s first genuine rock ballet, ‘De Homine Urbano’ in 1969, released on LP in 1970 (Philips) & re-released six times since then, internationally. Second ACHE album, ‘Green Man’, 1971, also reissued six times, worldwide. 1968: Began university studies in Chinese Language and Culture. BA degree in 1974. 1974: Began university studies in Japanese Language and Culture. 1977-78: Studies in Japan: Kyōto University foreign research student, and Myōan-ji, Taizan-ha shakuhachi, with Ozawa Seizan sensei, Yamashina, Kyōto. 1981: BA degree in Japanese/Japanology. 1983: Records the LP ‘Standing Waves – Zen Shakuhachi Meditations’ (Olafssongs OLP 001). 1986: Special research in the Tōkyō area. 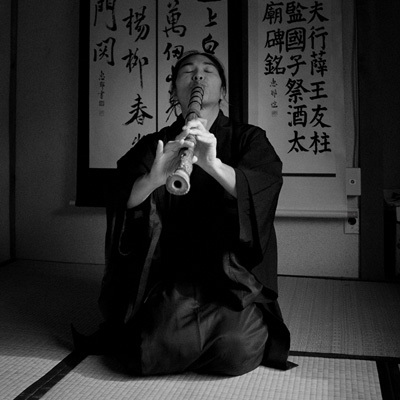 Shakuhachi studies with Yokoyama Katsuya in Chiba. 1991-2000: Print Manager, then Serious Music Manager with Warner/Chappell Music Denmark A/S. 1997: On invitation by then International Shakuhachi Society president, the late Dan E. Mayers, Esq., Torsten writes an introductory essay to the ‘Kaidō honsoku’ thesis. 2001: ‘Standing Waves’ is re-released on CD by Fønix Musik, Denmark (Fønix Musik FM 1183). 2003: The ‘Kaidō honsoku’ thesis together with the introductory essay is printed and published internationally by Monty H. Levenson/Tai Hei Shakuhachi, Willits, California, USA. 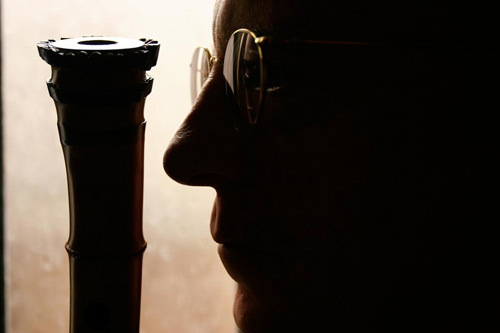 2003: Website about Fuke Shakuhachi research is launched, now: www.torstenolafsson.dk. 2005: Introductory essay about the ‘Kaidō honsoku’ thesis is published by the ISS, in Annals vol. 2. Torsten Olafsson has contributed as a versatile studio musician to at least 40 Danish music albums; as a professional graphic artist created more than 60 music album cover designs; transcribed, music engraved, typeset and layouted well over 1.300 Danish pop, rock, jazz, folk & instrumental guitar music pieces and, since 1980, in his capacity as music editor and publishing company music editor and print manager, produced several hundred sheet music and music book titles. Torsten is currently – beside his various shakuhachi activities – working closely with his younger brother, internationally renowned guitarist Finn Olafsson, OIafssongs Music Publishers DK, as a studio and concert musician, music editor, graphics designer, photographer, and webmaster. Tozan, Fukeshu Shakuhachi, Gendai Hogaku “Japanese Contemporary Music”. 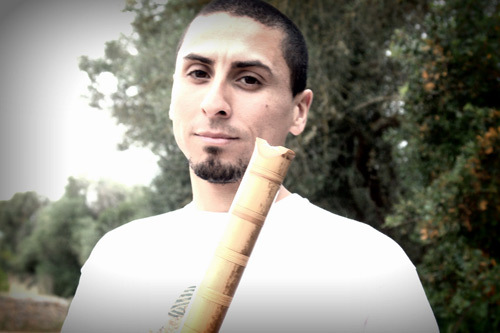 Biography: Antonio Enzan took up the shakuhachi in 2001 whilst he was living in Melbourne Australia and he started lessons with Anne Norman. 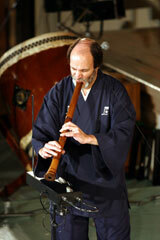 In 2005 he was awarded with the Gen Foundation Grant and the AIE Grant to further his shakuhachi studies in Japan. He received instruction under the direction of the best shakuhachi masters. In classic styles he studied with Tanaka Komei, Etsuzan Fujiyoshi. Modern and Contemporary music with Teruhisa Fukuda, Kuniyoshi Sugawara and Tanabe Shôzan. In 2011 Etsuzan Fujiyoshi sensei awarded him with the professional name Saiho Enzan ·西方炎山· that means Fire Mountain from the West. In 2014 Teruhisa Fukuda awarded him with the Shakuhachi Dai Shihan “Grand Shakuhachi Master” license. He has performed in Japan, Egypt, India, France, Germany, Belgium, The Netherlands, Belgium and widely in Spain. He recorded his first album “Encuentros” in 2007 in Japan. He has collaborated with the especialist in Medieval Music Eduardo Paniagua recording the album “Cantigas de Nuestro Señor” performing Medieval Music Composed by Alphonse X The Wise. He has recently collaborated in the album of Erwin Grafe “Canciones Incrustables”. 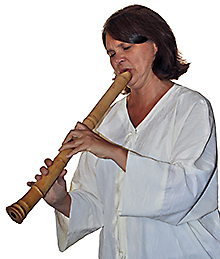 Biography: Véronique Piron is a French flautist and a shakuhachi player. She received her shakuhachi Master’s Licence Shihan from Yokoyama Katsuya in 2002 while awarded a Lavoisier research grant from the French government for studying in Japan. She has participated in the creation of the ESS, being an officer until 2012, and the development of the shakuhachi in Europe. In Japan, she also learned nohkan and shinobue from Nishikawa Kohei of the Ensemble Pro-Nipponia, which lead her later to get a French State Diploma and a Professor’s licence, for teaching Japanese traditional music in the French conservatorium system. Based in West of France (Bretagne), she is produced by “Big Bravo Spectacles-production” in a Japanese music programme and in a creative music programme. She has recorded several shakuhachi CDs. title of Zen Grand Master of the Fuke-shû Shakuhachi (普化宗尺八看主). 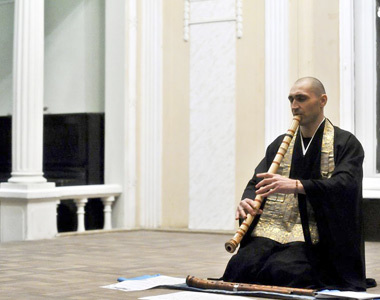 He raises awareness of the Shakuhachi of the orthodox school by performing recitals and lectures and is teaching his art in Japan and Europe. Languages: English, Spanish, Japanese, Catalan. 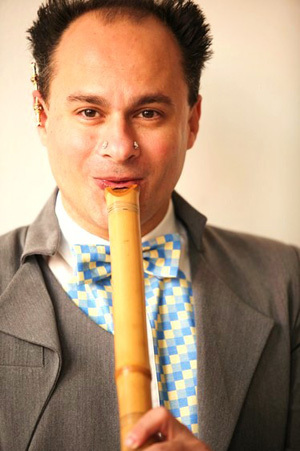 Biography: Rodrigo Rodriguez is a shakuhachi player internationally known specialist in the Japanese flute, has performed in numerous concert halls in Asia, Europe, South Pacific and Latin America. Among his important tours he performed in the “Tokyo Imperial Hotel” events NHK, in the temple of the Great Buddha of Kamakura, or Tchaivkosky Conservatory, Moscow Russia. He has lived and studied in Japan with the renowned master of Japan’s leading players of shakuhachi Miyata Kohachiro, and Kakizakai Kaoru. Biography: Since 1988 Ursula Fuyûmi Schmidiger has stuidied the art of traditional Japanese archery and heads the Kyudo group Shoken, Kriens/Luzern. Within the framework of a Kyudo seminar she experienced shakuhachi music for the first time live and was fascinated by the sound of this instrument. In the summer of 1998, she began studying the shakuhachi at the Studio of non-European music at the Music Academy in the city of Basel with Andreas Fuyû Gutzwiller, master in the tradition of the Kinko school. In September 2010 she received the teaching diploma (shihan menjô) Zenkoku Chikuyûsha and was granted the master name Fuyûmi in Tokyo by Kawase Junsuke lll. Biography: Richard Stagg has been a professional orchestral flute-player for the last thirty-five years, working in the Scottish National Orchestra and then in the BBC Symphony Orchestra in London, from which he retired in 2008. 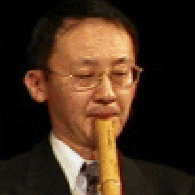 He has been studying and playing shakuhachi for thirty years, and was a pupil of the late Yoshikazu Iwamoto. He now teaches shakuhachi and makes, repairs and tunes instruments. 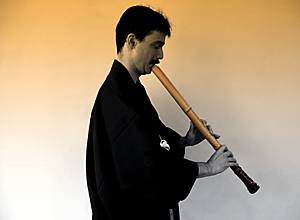 He performs publicly on the shakuhachi in the UK and in Japan. He has recorded a number of CDs as a member of the Yamato Ensemble, as well as a solo album and a disc of duets with Hidekazu Kato, under the ARC label. Richard is happy to teach people of any age or level of attainment. After the ‘first note’ stage (however little or long it may take!) he starts his pupils off straightaway learning to read shakuhachi notation (Kinko or Tozan) and he believes in relating this directly to European notation pitch-equivalents at all stages of progress. He teaches the styles of honkyoku and sankyoku from the 17th Century up to and through the 20th. He can give advice on choosing an instrument, and can help in providing or obtaining instruments for beginners who are without them. He always tries to build his pupils’ confidence and to make it fun to learn the shakuhachi. Biography: I practice playing the shakuhachi in the style of Myōan. My teacher is Ejun Lechika. Ejun Lechika Rinzai Zen monk is a certified teacher of the Meian (Myoan). When he was teaching me to play shakuhachi, he told me that a real komusō must create his own flute with his own hands. And the time came where I began to make shakuhachi listening to his advice. I have performed with my flutes on the Religious festivals in the Conservatoire. I play honkyoku, I say a prayer so that my flute can open its heart to a person listening to it or practising it. My buddhist name is Un Ryuu (雲龍). This name was given to me by my teacher when he was giving me rakusu. Also, I have permission from my teacher to teach. I live in the city of Kiev in Ukraine. • Furuya Teruo and Yokoyama Katsuya (head of Chikushinkai) from whom he received his first Shihan (Master’s license), and the name ‘Senryu’ as both a professional player and maker in 2007. • The Grandmaster of Kinko Ryu, Araki Kodo V, from whom he received his second Shihan, and the prestigious makers’ stamp ‘Kodo-sen’ (‘chosen by Kodo’) for his shakuhachi making. • The Seien Ryu iemoto Iwata Seien VI, who authorised him to teach. • The oldest Kyoto lineage of Shimpo Ryu; Kimpu Ryu and others from Otsubo Shido, who requested Justin to continue and propagate these precious lineages. • Various rare lineages from other teachers. Justin has performed, taught workshops and given lectures across Europe and Asia. He specialises in historic regional styles, having studied and researched in depth every extant Koten Honkyoku style. Justin also studied and practiced Buddhism for 17 years primarily in monasteries in India, Nepal and Thailand. He moved to Europe in 2011, and gives shakuhachi lessons and also Buddhist Psychotherapy in London, and teaches internationally via Skype. Biography: Koichi Nazarov Yoshida was born in Himeji, Hyogo prefecture、Japan. During student years he played blues and rock guitar, but also tried to play different musical instruments including ethnic ones. He was strongly impressed by shakuhachi sound and as a result he started to learn Kinko style shakuhachi under renowned Sensei Yodo Kurahashi, and is currently an active performer of traditional repertoire, as well as rock, jazz, folk music, and improvisation. In 2009 he formed YUGAO, an ensemble project for shakuhachi, piano, cello, and tabla. He performs frequently in the museums and tea-houses of Kyoto. He also had YUGAO tour in Spain, France, London (2011), and original solo tour TAKEKAZE in France, Switzerland and Germany (2012), featuring with a calligrapher Ekaterina Nazarova, and being involved in a project “Sounds of Zen”. “Sounds of Zen” (Tomokazu Takeda director) is a documentary movie about shakuhachi music, the attitude to Zen music and Zen culture in Japan and abroad. The movie is supposed to be on the screen in 2015. Due to this project, he had tour in October 2012 including Russia, Armenia, France, Germany and Switzerland. From January 2013 during 3 months Koichi Nazarov Yoshida lived and performed in France. From May 2013 he lives and performs in Moscow, Russia. Biography: Véronique Piron is a French flautist and a shakuhachi player. She received her shakuhachi Master’s Licence Shihan from Yokoyama Katsuya in 2002 while awarded a Lavoisier research grant from the French government for studying in Japan. She has participated in the creation of the ESS, being an officer until 2012, and the development of the shakuhachi in Europe. In Japan, she also learned nohkan and shinobue from Nishikawa Kohei of the Ensemble Pro-Nipponia, which lead her later to get a French State Diploma and a Professor’s licence, for teaching Japanese traditional music in the French conservatorium system. Based in West of France (Bretagne), she is produced by “Big Bravo Spectacles -production” in a Japanese music programme and in a creative music programme. She has recorded several shakuhachi CD’s. This section is meant as a basic guide to the various schools, styles and genres covered by the teachers featured on the ESS website. Please check with the individual teachers for the exact schools and repertoire they may teach. Biography: Hélène Seiyu Codjo is a French flutist and started to learn shakuhachi with Daniel Seisoku Lifermann in Paris in the French association “La Voie du Bambou”. Since 2006, she regularly attends the masterclasses of Fukuda Tehurisa, founder of the ensemble and school “Hijiri-Kai”. In January 2013, she got from him the title of “Jun Shihan” with the name “Seiyu”. She also followed masterclasses in Prague, Paris and Rotterdam with Christopher Yohmei Blasdel, Gunnar Jinmei Linder, Jim Franklin, Shimura Zempo, Yodo Kurahashi II and Koichi Yoshida. She plays in concerts and shows with comedians and storytellers (“Une saison au Japon” with Fabienne Thiéry). She also writes shows where she plays other world flutes (quena, dizi, Senegalese flutes,…) in addition to the shakuhachi and the western flutes. She recorded a dozen of CDs for children with her different flutes. She lives now in the Netherlands, where she gives lessons, workshops and concerts.